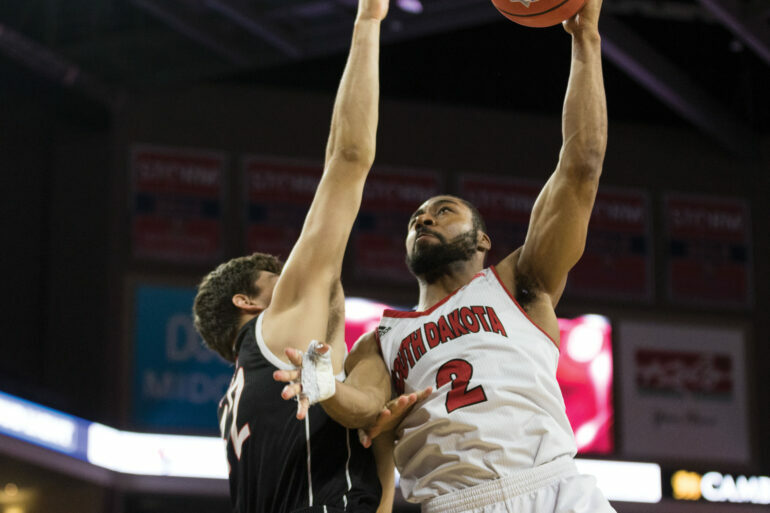 Senior Carlton Hurst placed fifth out of eighth at the State Farm College Slam Dunk Championship at St. Mary’s University in San Antonio, TX last Thursday. This was the second consecutive year USD was represented at the event, following last year’s third-place win by Tyler Flack. Hurst’s reverse dunk received 33 points from the judges, and fans on Twitter gave him 42.8 points. The winner of the contest was Joseph Kilgore, from Texas A&M – Corpus Christi. Hurst was also part of a three-member team for the skills challenge, and even scored the final half-court shot.